The Ukrainian Catholic Archeparchy of Winnipeg Archives (UCAWA) is housed in the Chancery offices at 233 Scotia St. in Winnipeg, Manitoba. Mandated by canon law to care for its operational and historical records, the Ukrainian Catholic Archeparchy of Winnipeg maintains the Archives as a repository for the care and conservation of, and access to, documents relating to the functions of the Archeparchy in the historical context. Requests for service may be made by telephone, fax or e-mail. The history of the Archives as a professional repository began in 1985 under the leadership of Metropolitan Archbishop Maxim Hermaniuk, CSsR, who appointed Sister Cornelia Mantyka, SSMI, the first archivist. Metropolitan Maxim, scholar and academic, realized the Archeparchy required a trained archivist to organize valuable papers housed in the archives, and to render these documents more accessible to the Chancery Administration. In order to meet her responsibilities, Sister Cornelia joined the Manitoba Council of Archives (now called the Association for Manitoba Archives, or AMA) and adopted the professional standards promoted by the organization at that time. Sister Cornelia created finding aids, usually in the form of file or box lists, of the correspondence of Bishop Nykyta Budka, Bishop Vasyl Ladyka, OSBM, deceased clergy, and to a limited extent, correspondence of Metropolitan Maxim Hermaniuk. In 1991, Sister Cornelia retired from her position and was succeeded for a short period of two years by Nicholas Yakimyshen. Mr. Yakimyshen assisted in the Archives during the transition of Metropolitan Hermaniuk into retirement, and the installation of Metropolitan Michael Bzdel, CSsR. 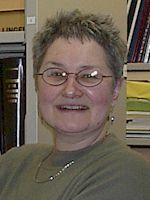 In 1999, the current archivist, Gloria Romaniuk joined the Chancery staff, first as a volunteer, and in 2003 as part-time paid archivist. Similar to Sister Cornelia, Gloria has availed herself of the professional training provided by the AMA, as well as computer training, records and information management and Ukrainian language courses, through the universities of Winnipeg and of Manitoba. Through the efforts of Chancellor Michael Winn and the archivist, in 2002 the Archeparchial Archives was accredited as an institutional member of the AMA. Accreditation as an institutional member allowed the Archives to apply for funding in 2003 to process the Papers of Metropolitan Hermaniuk, and then in 2005, to complete Phase I of the Metropolitan Hermaniuk Photo Collection project. Through the assistance of the AMA and the Canadian Council of Archives (CCA), a finding aid at the series level has been created for Metropolitan Hermaniuk’s Papers, and to date some four hundred of approximately 1500 photos have been processed. Furthermore, in 2003, through the AMA and CCA the Archeparchial Archives received a Global Preservation Assessment, providing a professional review of the storage facilities and recommendations for minor improvements. From accreditation forward, each year the Archives has embraced a major undertaking along the lines of the two projects in 2003 and 2005. In 2004, the archivist worked closely with the Parish of the Immaculate Conception in Cook’s Creek, prior to the designation of the church as a national heritage site. In 2006, in partnership with the University of Manitoba Archives and Special Collections, and with the St. Boniface Historical Society, the Archives participated in a project called Women and Education. During the course of the project, the archivist selected and scanned two hundred photos from the Chronicles of the Sisters Servants of Mary Immaculate, in their capacities as educators in the Ukrainian Catholic Religious Educational Centre from 1977 to 2000. These images are available to the public through links with the University of Manitoba and the Archeparchial websites. In 2007-2008, the Archeparchial Archives joined in a second digital partnership with the University of Manitoba Archives and Special Collections, and with a new partner, the University of Calgary, in the project called Landmarks, Monuments and Built Heritage of the West. UCAW Archives contributed three hundred and forty-nine photos, blueprints, documents, and audio-visual clips for digitization, from the collections of Metropolitan Maxim Hermaniuk, Fr. Philip Ruh, OMI, Fr. Jaropolk Radkewycz, and others. Since autumn, 2009, researchers have been able to visit the material online, again through links with the U of M Archives and Special Collections and the Archeparchial websites. A third digital project in partnership with our colleagues at the U of M Archives and Special Collections is called Prairie Prestige: How Western Canadian Artists Have Influenced the Canadian Art Scene. In this project, the Archives of the Winnipeg Art Gallery (WAG) has participated as a third member in the partnership. From the UCAW Archives, eighty-three textual documents, including photos and sketches have been selected from the Leo Mol fonds; and seventy-three photos have been selected from the Sterling Demchinsky Photo Collection, all depicting the expression of art in the Ukrainian Catholic context. These materials will be available to researchers through links with the University of Manitoba and the Archeparchial websites.